Portia’s Senior Engineer, Richie Cheetham has continued his good works with Peel Ports. 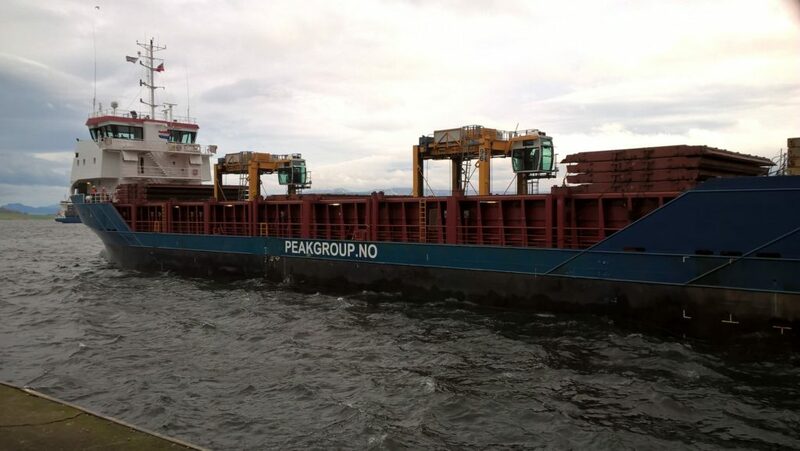 Portia were asked to project manage the shipment of two Liebherr Straddle Carriers on behalf of Peel Ports from the Port of Liverpool to Clydeport, in Scotland. 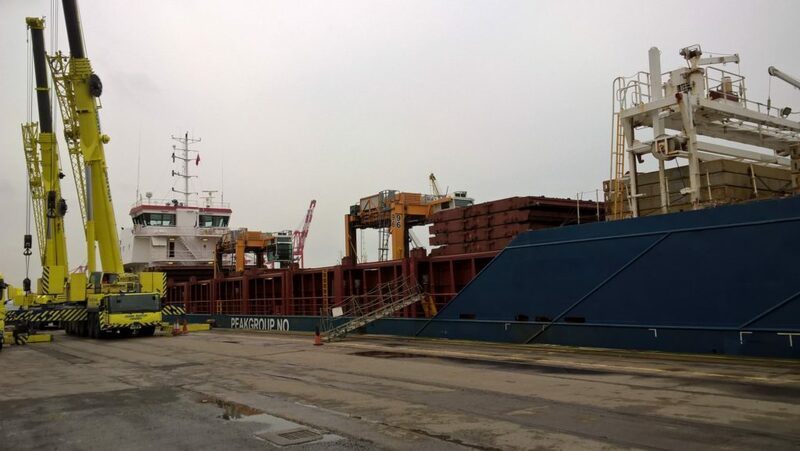 The Straddle Carriers each weighing 64 tonnes were loaded in Liverpool onto the Peak Bremen on 7th April and discharged at Peel Ports Container Terminal in Clydeport on Tuesday 10th April. 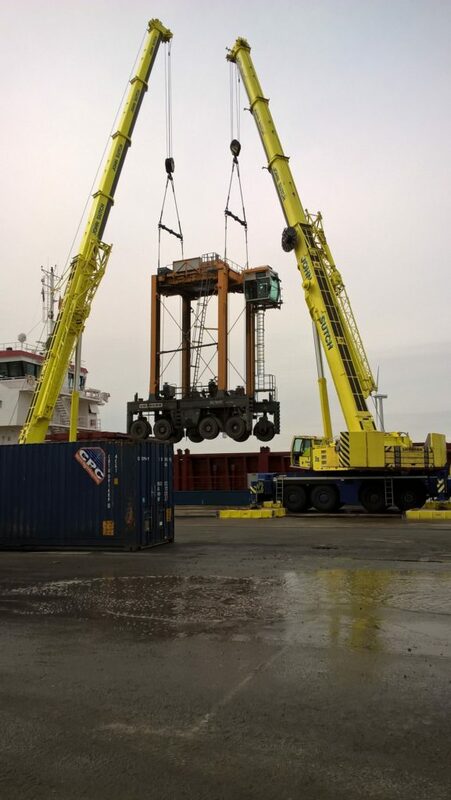 All mobile crane operations were conducted in conjunction with John Sutch Cranes using 2 x Mobile cranes of 300 tonne capacity operating in tandem-lift mode.